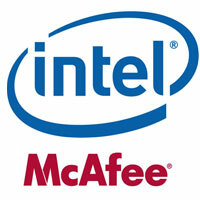 The big news is coming about acquisitions of McAfee by Intel. The leading processor and chip manufacturer Intel buys security Giant by a total sum of $7.68 billion in cash. In fact, it was already predicted in March this year that Intel wants to buy McAfee. McAfee will now operate as a wholly-owned subsidiary, reporting into Intel’s Software and Services Group. McAfee is one of the largest computer security company founded in 1987 with over 6100 employees. McAfee's Antivirus, other security suits, and solutions are widely used in personal computers, enterprises, and governments. 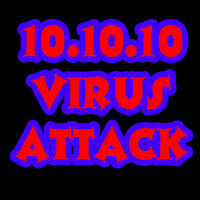 The main products are McAfee Total Protection, McAfee Antivirus, McAfee Internet Security, McAfee Firewall, McAfee IPS etc. Recently Intel also acquired some software companies from the field of gaming, visual computing, embedded device and machine software and finally security. This acquisition will give best products in combination. As Intel is growing hardware devices, servers and cloud computing and wireless technologies, the Company also needs to ensure the security of products form cyber threats and virus attacks. Which will now be well fulfilled. “With the rapid expansion of growth across a vast array of Internet-connected devices, more and more of the elements of our lives have moved online,” said Paul Otellini, Intel president, and CEO. “In the past, energy-efficient performance and connectivity have defined computing requirements. Looking forward, security will join those as a third pillar of what people demand from all computing experiences. This is really big news for us. And the Acquisitions will bring added benefits to both the company and us consumers. The products will be more green, energy efficient and secured. I got attacked by ransomware WannaCrypt - What to do now? What is a ransomware virus? How does a ransomware work? Good news for the consumers :) lets see how it works. Definitely better, waiting to see more. We have to wait and see how this will work? I actually think that was a bad choice on intel's part. McAfee isn't doing to well with its security. Maybe intel bought a dying company. McAfee is one of the best antiviruses and after intel acquires it , lets hope this time , more offers and discounts will be available . Great antivirus company acquired by great company . didn't heard of that . @Aatif oh thats big acqatision! how did you miss! I have no idea why Intel wants to buy a closing company! Even McAfee have failed the latest AV tests!